Performance Nov. 5 in Amherst. Choreographer Bill T. Jones. Photo by Timothy Greenfield Sanders. 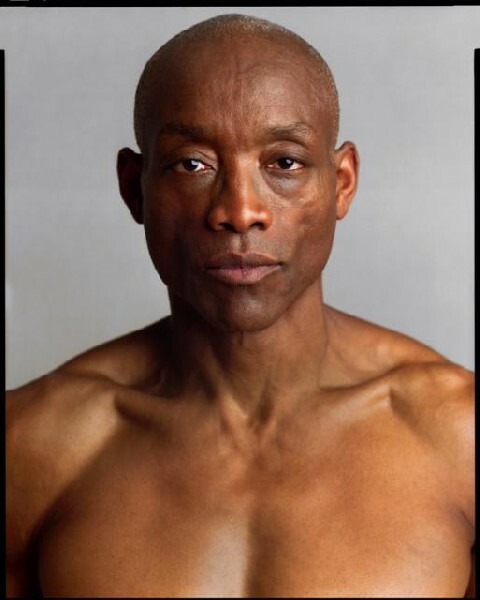 The Bill T. Jones/Arnie Zane Dance Company will perform Thursday, Nov. 5, at 7:30 p.m. at the Fine Arts Center at the University of Massachusetts at Amherst. These are just some of the words that have been used over the years to describe ground-breaking choreographer Bill T. Jones, whose world-renowned dance company will perform Thursday, Nov. 5, at 7:30 p.m. at the Fine Arts Center at the University of Massachusetts at Amherst. There, audience members will get to see one of Jones' latest works, "Serenade/The Proposition." According to the Fine Arts Center, "Serenade/The Proposition" is a lively, colorful rumination on the nature of history. The refrain "It could be said that history isÂ…" runs through the piece and asks the question of our connection to history, or lack thereof. Video projections fill an iconic set of movable columns that evoke the architecture of history: the White House, the Parthenon, or the ballroom of an elegant plantation parlor. The spare staging is filled by a cast of fierce dancers in beautifully deconstructed costumes performing flowing movement that assembles into moments of still portrait like postcards from the past. The original score draws from Mozart's Requiem, Battle Hymn of the Republic, and Dixie to create a contemporary, playful, musical collage for cello, piano, and soprano, according to the Fine Arts Center. "Serenade/The Proposition" premiered at the 2008 American Dance Festival, and is now on tour before being seen in New York at the Joyce Theater, the work's lead commissioner. A post performance talk with the artists will be held following the Nov. 5 performance. Tickets are $15 to $40 each for adults, $15 for Five College students, students from Greenfield Community College, Springfield Technical Community College and youth under 17 years old. To order tickets or for more information, call (413) 545-2511 or (800) 999-UMAS, Monday through Friday from 10 a.m. to 6 p.m.